There’s no sweeter sound than happy squeals of delight and splashing of water from a toddler enjoying their tub – and fun bath toys, well they only add to the fun! Awesome for the bath – or even the pool or a water play table – these colourful Hape Happy Buckets are filled to the brim with water fun. A set of three, each plastic bucket features a different water drainage design. 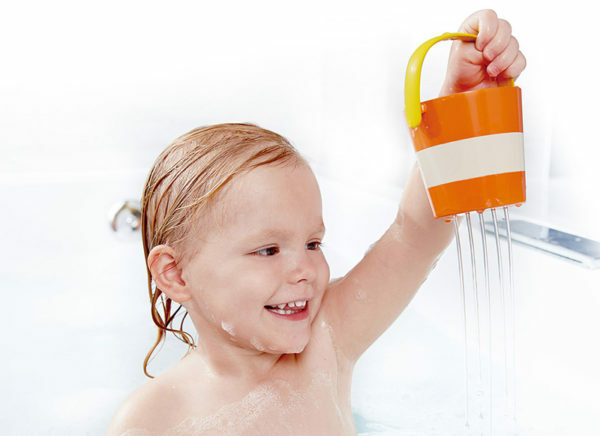 Kids will love to scoop up water and watch it rain out of holes or tumble over a spinning disc, no doubt until their own bath water is no longer warm! Hape Happy Buckets are available from Lime Tree Kids, priced $21.95.